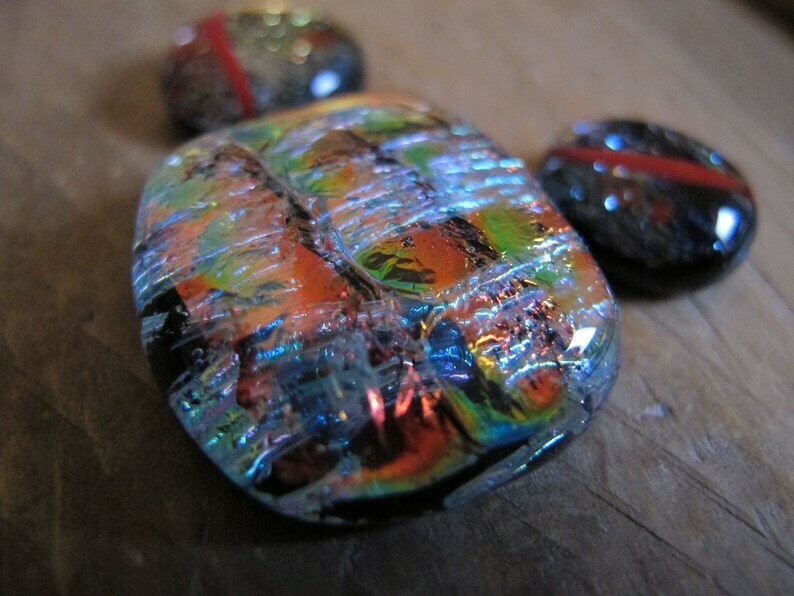 Three uncalibrated, handmade Dichroic glass cabochons, for Jewellery making, Stained glass, mosaics, etc. The large rectangular, multicolored, black backed cab is about 27mmx24mm. It will make a great focal cab! It is fused with striped translucent Dichroic specialty glass. The two smaller, round, black backed cab with muted rainbow/blue flakes are about 15mm and 17mm. They are fused with red transparent specialty glass.